Hamish Olson and Neil Irving finished their tournaments in Prague with 1.5/2 in the final rounds. In the A open Hamish drew his round 8 game with white against Egor Chekletsov of Russia (rated 1912 and aged 12) and in the final round miniatured Czech player Tomas Kucera (1995) with the black pieces to finish on 5/9. His full results can be seen here. In the last round game Hamish (as black) reached the following position after white’s 11th move. Kucera vs Olson Prague 2015. The solution is at the end of this article. 1. d4 Nf6 2. Nf3 g6 3. c4 d6 4. Nc3 Bg7 5. e4 O-O 6. Be2 Nbd7 7. Be3 e5 8. d5 Nc5?! I think this is an inaccurate move because it allows white to re-deploy the kings knight onto d2 while the bishop stays active on e3. The database confirms that white scores about 70% from this position. Having said that a few grandmasters (Fier, Markos) have played the black side of this position. 8… Ng4 is better. I like this idea of sacrificing a pawn in exchange for the dark squared bishop. 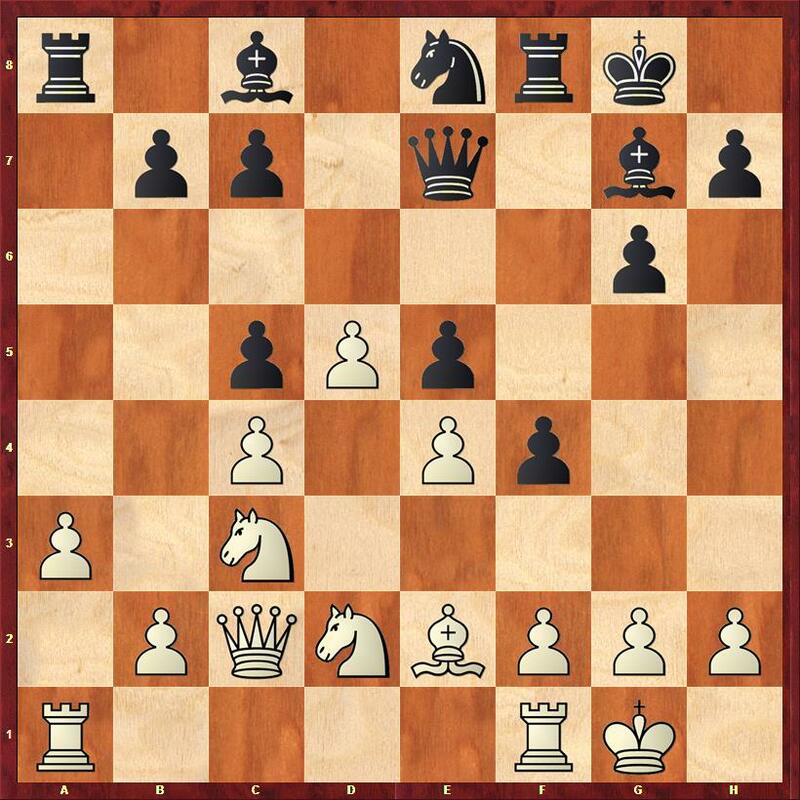 It may not be correct but it is a justification for black’s move 8. 10… Ne8 aiming for f5 is the most popular move in this position but then white can get on with his queenside play with 11. b4 axb4 12. axb4 Rxa1 13.Qxa1 Na6 14. Qa3 f5 15. O-O (After 15. f3?! 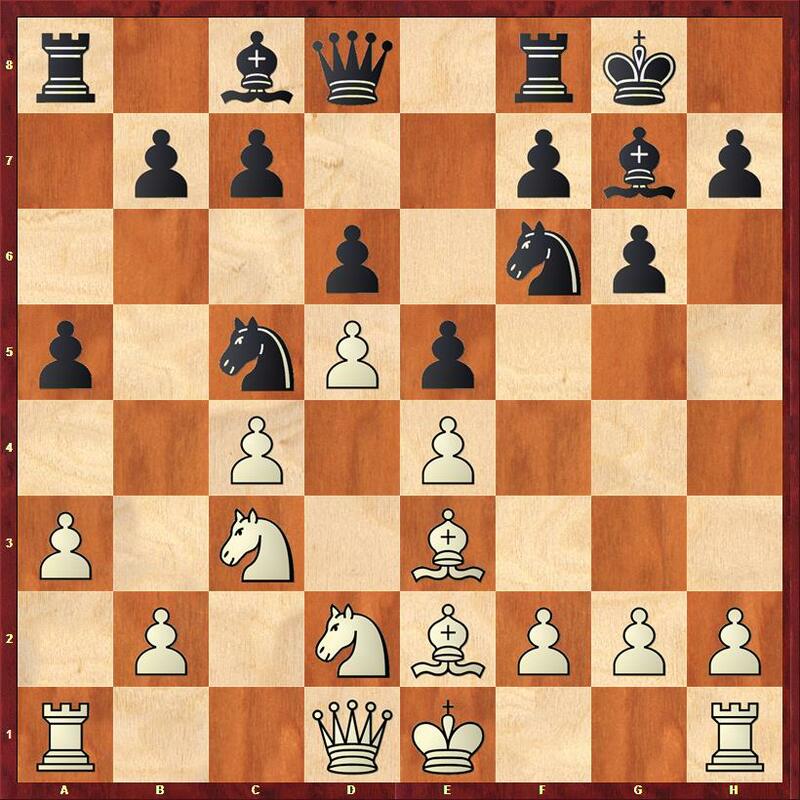 which I have played once black has the tactic 15…Bh6 16.Bxh6 Qh4+ equalising) 15… f4 16. 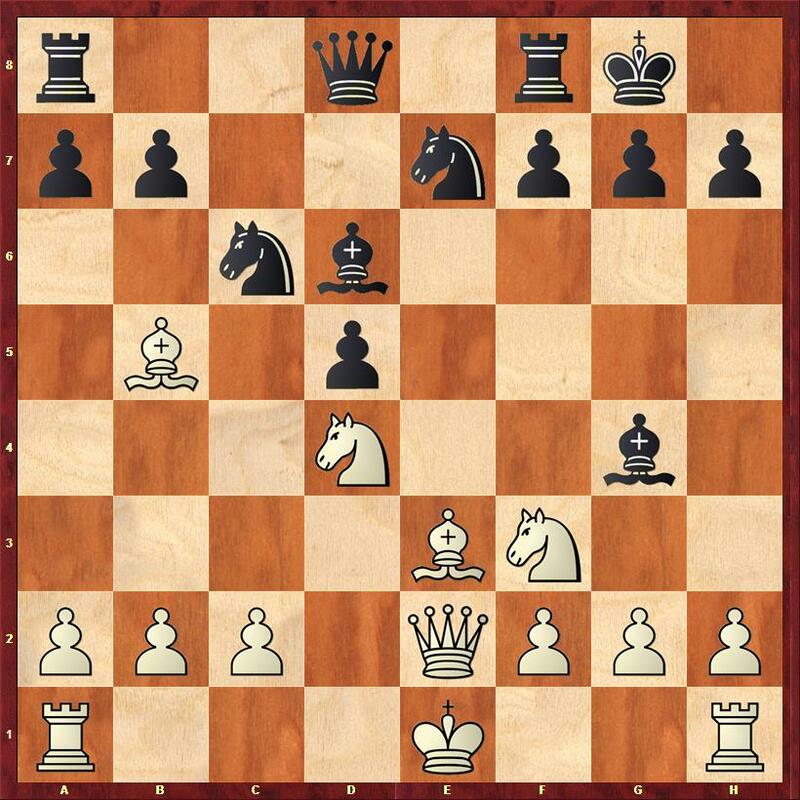 Ba7 b6 (16… Bd7 17. f3 and white’s attack on the queenside is very strong) 17. Ra1 followed by c5 is good for white. 11. Bxc5 dxc5 12. Nxa4 Qe7 13. O-O Ne8 14. Qc2 f5 15. Nc3 f4?! I played this on the basis that it slows black’s attack down by a move because he has to play Nf6 and h5 before he can get g4 in. 17… Nf6 18.bxc5 g4 19. d6!? I was determined to try and seize the initiative somehow, so I again try returning a pawn. I was very surprised he allowed me to swap off the light squared bishops. The light squared bishop is often a key attacking piece in this type of pawn structure, plus this reduces the number of attacking pieces black has by one. 21… Nxg4 is much more dangerous. So here I hadn’t considered 23… f3 24. Nxf3 Qh6 25. Re1 Rxf3 26. Qxf3 Qh2+ 27. Kf1. It doesn’t work but I should have considered the possibility. I am now an exchange and a pawn up but fairly short of time. The rest of the game isn’t particularly accurately played, but there were no major blunders either. 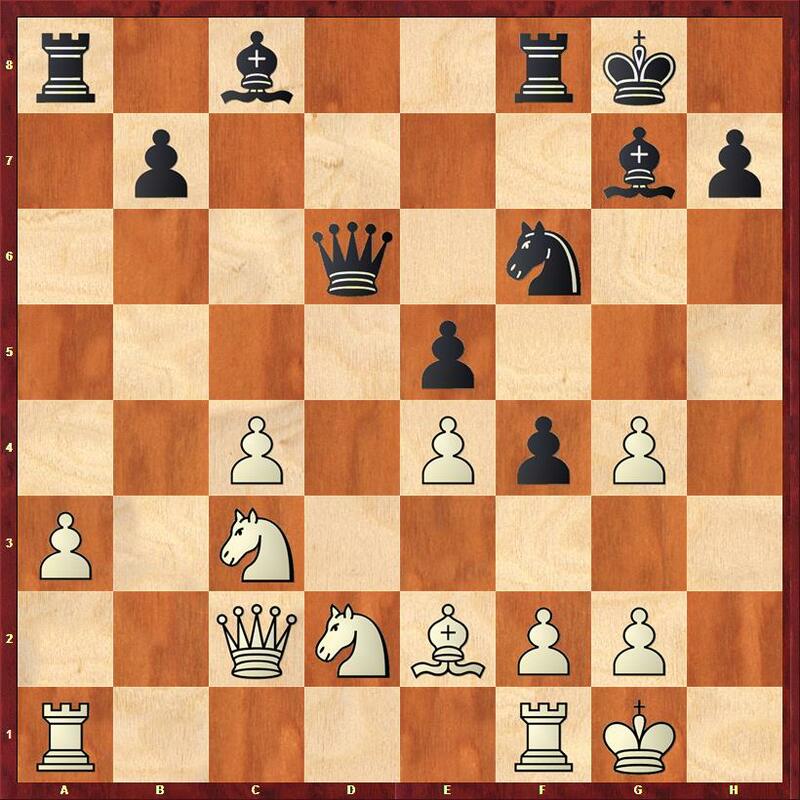 And black resigned because of mate next move, although Qe6 checkmate would have been an improvement for white on move 39! In the last round Neil agreed a quick draw with black against Czech junior Daniil Bystrickiy (1877) to achieve a final score of 6/9. His results can be seen here. Both Hamish and Neil enjoyed playing in Prague and would recommend Czech tour events for other players. 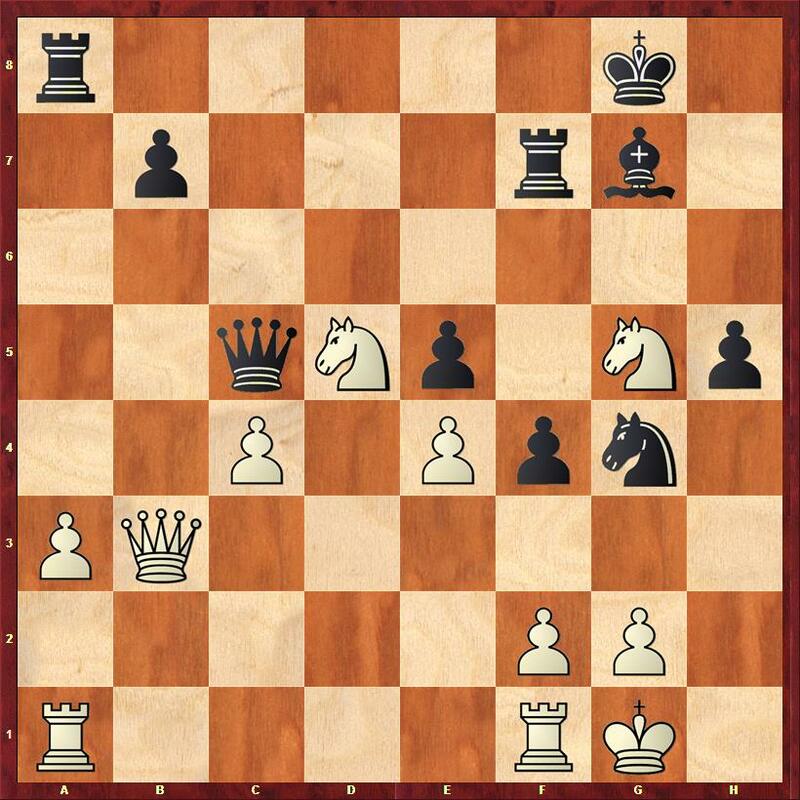 The conclusion of the game Kucera – Olson was 11…Nxd4 12. Bxd4 a6 13. Bd3 Nc6 14. Be3 d4 15. Bg5 Bxf3 16. Bxd8 (if 16.Bxh7+ then 16…Kh8 still wins a piece) Bxe2 17. Bxe2 Raxd8 resigns.